So you've got your little one a balance bike or a tricycle, that's not the end of it! It's now time to hunt for a bike helmet that fits your child's head well because s/he will need all the protection from now onwards as falling and tumbling down from the bike will be part and parcel of the whole bike-learning journey! 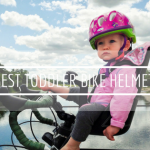 A toddler helmet is not just an accessory - it is an essential, life-saving equipment in your children's biking journey that has the ability to save them from potentially severe head injuries in the event that they suffer a bad fall from their bike. This is because a good helmet will absorb most of the impact from a fall which otherwise will land on your little one's brain, so you can only imagine how important it is to have one. Especially more so if your little one starts young on a balance bike as most skulls are still not quite fully developed yet at this age, although kids under one year old are prohibited to be transported in a bicycle on the roads here in New York. Nevertheless, even if they are just balancing or scooting indoors, we think the helmet is an item that should not be skipped out altogether for obvious reasons. Ok, you may think this is a no-brainer - as long as it doesn't fall off your kid's head then it's fine. Wrong! A good fit should be not too big, not too small. It will not slide forward or backwards, nor will it budge from side to side. 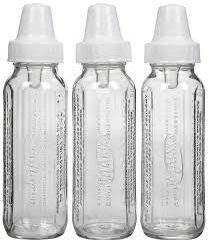 It will sit on the top of your toddler's head in a levelled position across the forehead, about one inch above the eyebrows. And don't forget the chin strap and strap sliders. The strap sliders should form a 'v' under your kid's ears and the chin strap should slide under the chin just right, not too tight but not too loose either (get the pinch-free buckle ones, if you can!). A turn-dial feature will allow you to adjust the size and of course, you should always look for a ventilated helmet for breathability and comfort. We cannot stress how important it is to get a good and snug fit out of your helmet so make sure you abide by the above guides to ensure your little one's helmet is in just the right size. This ensures that the helmet has undergone rigid tests and has passed the U.S and international safety standards. You will be surprised at just how many bicycle helmets out there that do not follow and conform to the mandated standards, so having one of these labels give you the extra piece of confidence and assurance. Don't worry, we have done this hard part for you - all the helmets reviewed below are certified one way or the other so feel assured shopping away! If you cycle yourself, you will know that the brand 'Giro' makes excellent helmets. 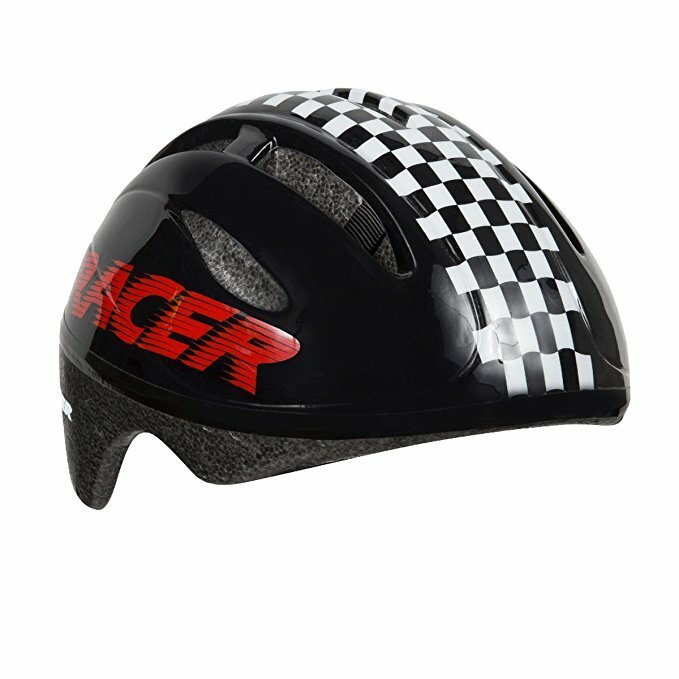 Their Scamp Kids Cycling Helmet is no exception. 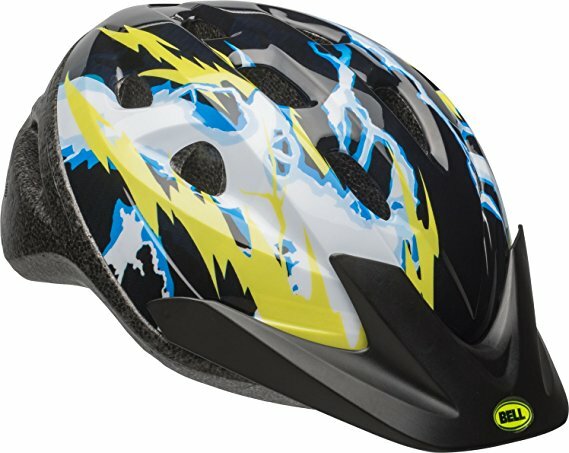 With an in-mold polycarbonate shell with EPS liner, this helmet is packed with amazing features such as the Roc Loc Jr. ft system with pinchguard buckle that provides an easy way to fit your kid's helmet quickly and securely. The Giro Scamp is one of the few MIPS helmet that is reasonably priced (there is also a non-MIPS version) and if you've read our safety standard guide above, you will know that MIPS helmets are often pricier because of its amazing function. 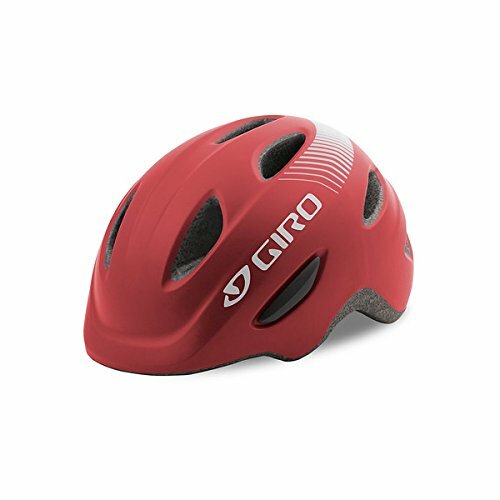 Lightweight, comfortable and available in a range of kid-friendly colours and designs, there will be no trouble getting your little one to wear the Giro Scamp Kids Cycling Helmet as they grow from their balance bikes to training wheels. The Joovy Noodle Helmet is another toddler helmet that can fit younger children (from 1-4 years old) thanks to an adjustable fit dial in the back for you to achieve a custom fit to your child's head. We like how rock solid it is made and that it fully covers the child's skull and upper neck area with abundant cushioned padding inside. Don't worry if it will be too hot for your child, there are up to 14 vents in its design so you can be sure there is plenty of good ventilation to keep your child cool and comfortable. The integrated bug mesh in the front vents and extended visor are bonus features that many parents love as they offer maximum protection to their children. What's better, is that the Joovy Noodle Helmet is considerably cheaper than many other competitors without compromising on quality. The Nutcase Little Nutty Bike Helmet is a skater-style helmet that is certified for biking, scootering and skateboarding. Although it comes in one size only, its dial fit system enables it to fit across 2 to about 6 or 7 year olds, and it comes with extra sets of foam pads for you to changed out for a more customised fit. With this one, there will be no pinching in any circumstance thanks to the use of a magnetic buckle that can be operated single-handedly, and even the chin strap is covered in soft padding. And oh, there is a detachable visor too to provide shade from the sun and rain. 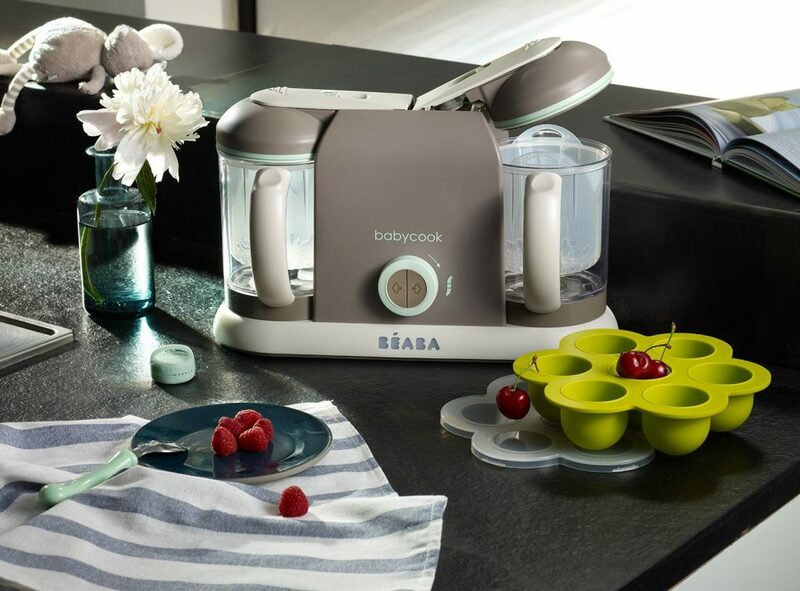 The only thing that we'd wish for is vents on the side for maximum ventilation because even though there are 11 vents altogether, you may still get a sweaty-headed baby in some of the hot summer days. If you like the Nutcase Little Nutty but it is a tad too small for your child, just get the adult-sized Small which is the next size up; otherwise, there is a range of Baby Nutty helmets to choose from if the Little Nutty is too big. The Lazer BOB (Baby On Board) Helmet is the best kids helmet for smaller kids or babies. You can probably already tell by its name, but this is the helmet to go for if no other helmet seems to fit your baby's small head. This is because it is designed for kids riding in trailers (with a flat back that rests easily against the back wall of the trailer) so it is targeted at younger and smaller children at the first place. There is a special neck reinforcement that offers additional protection while the use of 360 degree reflective material assures high visibility. Yes, it may be one size only but trust us that this ​is the helmet for even the littlest rider (easy to remove and clean soft fit pads are provided to get the perfect fit, if need be). One thing that we'd wish the Lazer BOB will change is to increase its number of vents, but otherwise, at such a price, there really isn't much to fault this helmet. 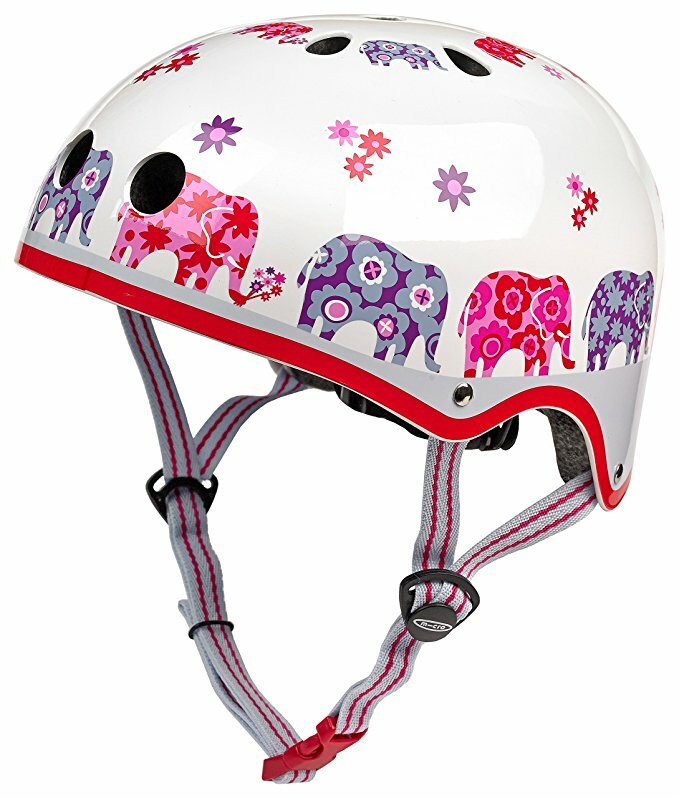 If you do have a few extra bucks to spend though, we recommend getting their PNut MIPS version, the luxury of helmets. Apart from the obvious fact that it is MIPS certified, its AutoFit system, magnetic pinch-proof buckle and locking sliders are some of its best feats too and oh, the 16 vents are definitely much welcomed too! 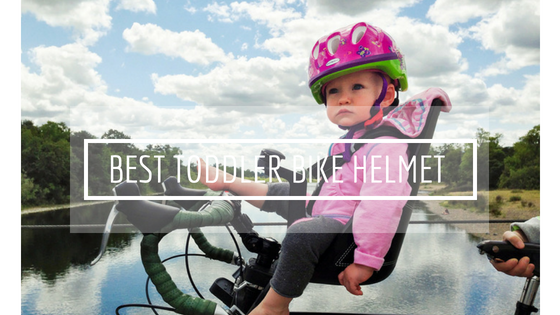 So far, we've been reviewing bike helmets that lean more on the smaller sizes which yes, they are best for infants and babies, but let's not forget the older toddlers. This one here, the Bell Child Rally Bike Helmet is one of the best toddler helmet amongst the brand's many other models because of one simple feature - the True Fit, 1 step adjustment feature which eliminate strap and hardware adjustments that, let's admit it, are often confusing. The self-adjusting fit belt is designed to fit properly every time with just one simple adjustment (to make sure the chin strap is tight enough) and after that, your child can just buckle and go. 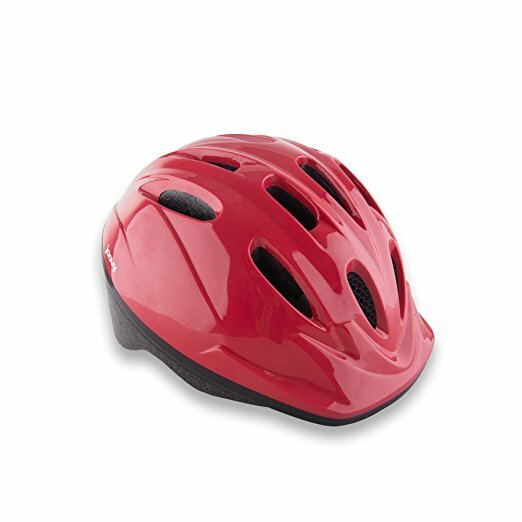 With pinch guard that ensures pinch-free buckling and extra features like reflectors and built-in visor, the Bell Child Rally Bike Helmet is more than worth it at under $15! Another toddler-sized helmet that you will love is the Kids Bike Helmet from Team Obsidian which extend beyond the toddler years to youth stage. 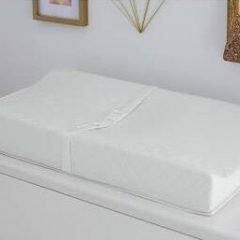 The fit dial adjustment system keeps it easy to adjust vertically and horizontally for a tighter and snugger fit and two padded inserts of different thickness are provided for further adjustment - 10mm pads are preinstalled for toddlers 3-5 years, while 5mm pads cater to older children up to 7 years old. The fully adjustable soft straps are made with a strong yet soft material that won't chafe or scratch and the integrated quick-release clip makes it easy to fasten and unfasten without any pinching, aside from keeping the helmet securely in place. It is also one of the rare ones with 14 vents and you know that is always a plus in our books! With the Team Obsidian Kids Bike Helmet, you don't need to buy a toddler-sized helmet and then another helmet a few years later and with a lifetime warranty, this helmet will last through many years, and kids! 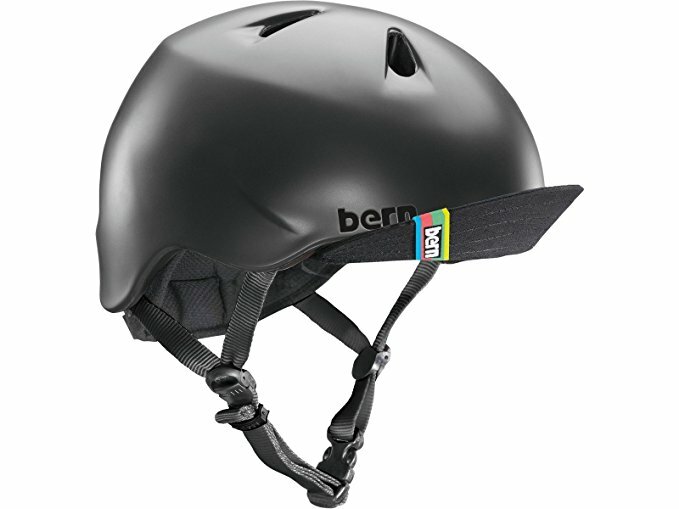 It is rare that you find a toddler helmet, and we mean one that is to fit children ages 5-8, this light but that's exactly what you get with the Bern Unlimited Jr. Nino Summer Helmet. This is because it uses a thinner certified foam called Zip mold, a liquid foam technology that offers a thinner profile than the standard EPS grey foam other brands use, thus giving it a much smaller helmet shape (without compromising the actual fit), and weight. 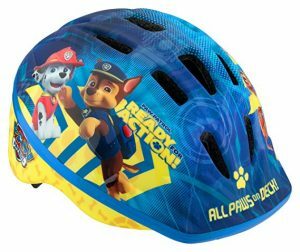 Together with a simple-but secure velcro fit system, we can say there is no other kids helmet that quite look like how this one proportionally fits children's smaller head. 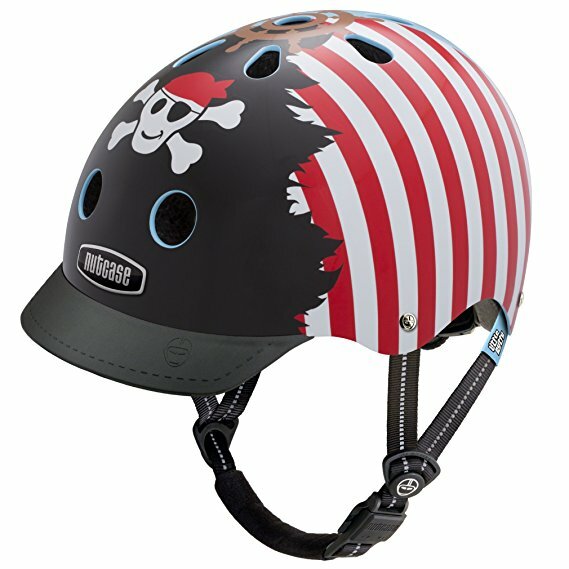 Featuring the same signature Bern look as the brand's bestselling Brentwood in 6 different colours and designs, the Bern Unlimited Jr. Nino Summer Helmet is one best toddler helmet that has gotten the highest rating from parents amongst the many tough competition thus far, so that's saying something! 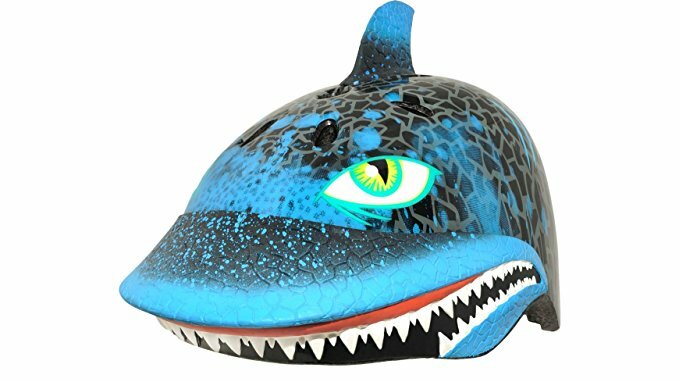 Now, before you got put off by the look of the Raskullz Shark Jaws Helmet, thinking it is more of a gimmicky/stylish helmet rather than one of high quality and functionability, let us tell you that this is all a misconception. Unlike other companies which use flat printed graphics for patterned helmets, the Raskullz is the first company that uses full 3D technology to to mold their helmet in a variety of designs. Functionality is not compromised, as shock-absorbing EPS inner shell is used to protect the noggin and aerodynamic cooling vents are present to keep the little one's head fresh (although we wish there are more vents at the sides instead of focusing at the top). 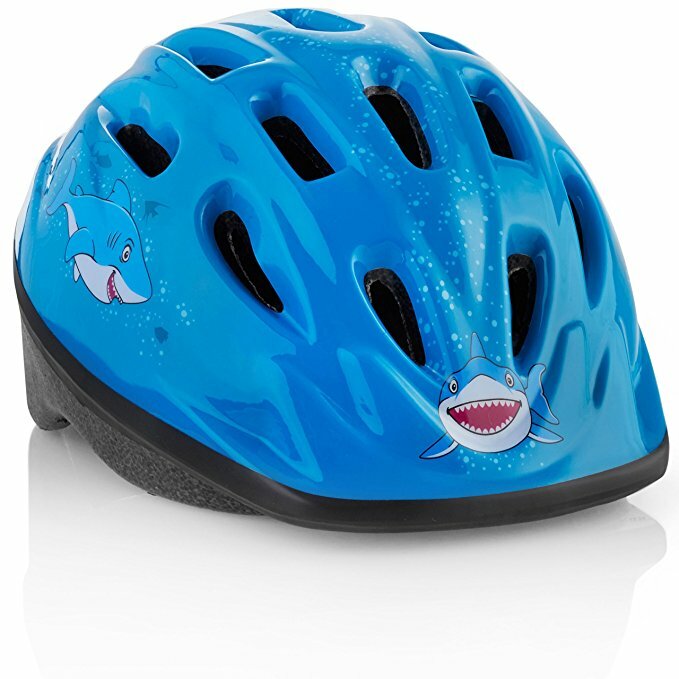 The Raskullz Shark Jaws Helmet is the one to go for if you have trouble getting your child to wear a helmet (and to wear for long) because which child wouldn't be tempted to with such realistic and fun design? Trust us, it may even spark another game of play pretend! Another helmet that may do just the trick as well in tempting your little one to wear his/her helmet and to keep it on without fussing is the Paw Patrol Toddler Helmet. Ah, we probably need not say more because who doesn't love Paw Patrol? With everything like an adjustable dial fit that offers 360 degree adjustability (just like the pros! ), a lower molded shell design with extra protection in the rear and top vents to keep the heads cool on hot summer rides, this fun helmet is much cheaper than the Raskullz (mainly because it doesn't incur as much production costs in terms of the 3D mold) but works equally wonderful in tempting your little one likewise. Available in other Paw Patrol characters, you can even match it with a set of Paw Patrol pads for further protection. Psst, there is also a matching bike set too, if you want the complete package! Last but not least is the Micro Helmet that is designed in Switzerland and is perhaps the helmet that has the most variety of fun and colourful designs in the market. It is skater style but is bicycle-compliant as well, as evident by its CPSC and ASTM certification. Otherwise, it makes for the perfect helmet for trailer use too as it has a flat back, and the outer shell fully uses rugged and durable ABS for maximum protection. 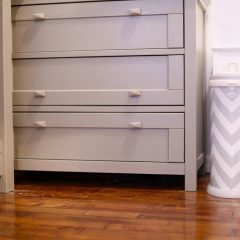 Price wise, we wouldn't say it is the most competitive, however, being dual-certified with multiple possible uses, we think it is worth the investment made.